When it comes to being in the great outdoors, technology could spell the very difference between life and death. Presenting a list of gadgets that definitely deserve a place in your backpack. It has been a long week pushing paper at the office desk, and your life seems to have become a dull shade of grey. Even back at home, the few hours spent in front of the television don't break the monotony and you can't remember the last time you stepped out for anything other than business meetings with clients. Escape, says a voice in your head, it's time you walked in Christopher McCandless's shoes for a day or two - into the wild and a thousand miles away from the trappings of human society. So, with your sights firmly set on the coming weekend, you decide on the landscape you want to conquer and chart out a strategy. Nothing can keep you from your date with nature anymore. You are determined, have the grit, and know that it's the only way you can be left to your own devices. Literally and figuratively. You set off up the mountain trail the next weekend, and even as you feel dry sand crunching under the soles of your heavy trekking boots, you wonder if you have everything you may need in the case of an emergency. As much as one may admire the famous American supertramp and all the things he stood for, dying in an abandoned bus after eating a poisoned root may not be every man's idea of a happy ending. Quite understandably, then, the item that should top your list of must-have devices is a cellular phone that will stand by you - come hell or high water. Taking this into consideration, we would recommend the Sony Xperia Z Ultra phablet - something that wouldn't be as basic as a normal mobile phone but may not be as cumbersome as a full-fledged tablet either. An extremely slim aluminum-glass device at 6.5 mm, it is powered by a 2.2GHz Qualcomm Snapdragon 800 quad-core processor and runs on Android Jellybean. So, what makes the Sony Xperia Z Ultra ideal for the great outdoors? Well, though it may seem quite bulky (after all, it's got a 6.44-inch screen), the phablet is quite easy to hold. Moreover, the Xperia Z Ultra has a screen made of tempered glass and enjoys an IP58 rating - which means that it is water as well as dust-proof, allowing you to take videos and photographs underwater. So, you have walked for miles into the wild, and the mountain trail you were following seems to have lost itself in the thick foilage. Even giving up and heading back home isn't an option; you can barely remember the route you have taken to reach the spot where you now stand. Time to dial 100 already? Probably not, if you remembered to pack the latest from the house of GPS giant Garmin. 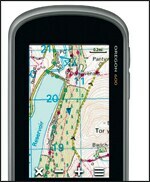 The Garmin Oregon 600, a sturdy handheld device that will ensure that you are never left directionless in what may seem like the middle of nowhere, comes with improved display and unlimited geocache storage - besides the option to use GLONASS satellites as well as standard GPS satellites, Bluetooth sharing, and an updated recording interface. A unit that fits snugly in the palm of your hand, the Oregon 600 benefits from thousands of downloadable maps and features a display that uses external light combined with an LED backlight to increase brightness without compromising on power. You don't have to worry about dropping it either - the manufacturers claim that even smashing the Oregon 600 against a rock won't result in anything other than minor cosmetic changes. Trekking through the mountains can take its toll on a body otherwise accustomed to lazily lounging on a Herman Miller office chair, and taking cognizance of this very fact, you decide to set up camp the moment you spot a stream. Reaching into your backpack, you unpack the Outsider Two-Man Tent you had the good sense to bring along. Made of double-layered fabric that's sturdy and dependable yet lightweight, the tent is capable of protecting two persons (three can cram in too, in extreme circumstances) from elements of nature as diverse as dust storms and snow to torrential rainfall. It's starting to get dark, and the skies thunder noisily before letting loose little droplets of rain. Smug in the knowledge that your little waterproof castle isn't going to let in the elements, you decide that it's time for a little music. But how do you get that in the middle of the woods, with the nearest plug point a little more than sixty kilometres away? Out comes your Bose SoundLink Bluetooth Mobile Speaker II, capable of rocking the woods if you feel like it (the forest guards and animals may mind, though), and extending over a wireless range of up to 30 feet. 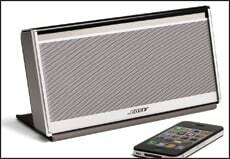 Boasting of sound quality that only Bose can offer, this handy little speaker set has battery life of up to eight hours - what's more -you don't need a user manual to pair it with your phablet or mobile phone. There! You got Simon and Art singing Sound of Silence live at Central Park even as the storm gathers momentum, and snuggled into your sleeping bag with a single electric light on, you feel like everything's right with the world again. And that's when you hear the sound of branches crackling outside, followed by a muffled roar. There are bears in these areas, aren't there? Heart thudding against the walls of your chest, you pick up your Maglite and tiptoe your way into the dark. These hairy beasts are known to enter tents for shelter during thunderstorms, and the last thing you need right now is an unwanted visitor. As it turns out, there is no bear, the rustle had been caused by a wide-eyed Kashmir Stag - and he hasn't noticed you yet (The roar must have been the result of your imagination working overtime). Quick! A photo, before the deer makes a wild dash in the opposite direction. Now, while we would ordinarily have suggested the Nikon D800 - with its groundbreaking 36.3 MP FX-format CMOS censor - for photographs, it is only natural that a good point-and-shoot camera should perform better at times like these. 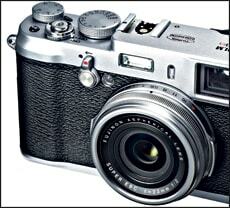 Your best bet, then, would be the retro-looking Fujifilm X100S with a hybrid viewfinder system that can toggle between a big, bright optical view and an EVF. A device that works wonders in low-lighting conditions, it delivers sharp edge-to-edge 16 MP photographs and still remains small enough to ease into the narrowest of denim pockets. It's morning, and as the sun starts crawling up the sky, you set off up the mountain trail again. In a few hours, you have exerted more energy than you would have in fifteen days, and you feel perspiration dripping down your neck and onto the ground. Is it time for another swig of water already? Your HydraCoach Water Bottle indicates its agreement. You may not know it, but vigorous exercise often delays the thirst mechanism - making it difficult to replace fluid loss without a plan for periodic consumption. HydraCoach automatically calculates, monitors and provides instant feedback on fluid consumption - making it just right for a rough outing sans medical supervision. 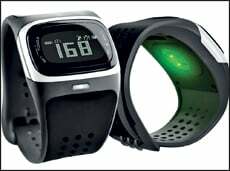 And the HydraCoach water bottle isn't the only medical expert that has been watching over you all this while; there's also the Mio Alpha Heart Rate Monitor watch, which "senses" the amount of blood under your skin and replies with a digital readout of your heart rate. Stuck between a rock and a hard place? Aron Ralston would have killed for the Breitling Emergency II. Well, the worst just happened. You were scaling a rock when you lost your footing and went tumbling into a deep rocky pit, and all you have now is a broken leg and no foreseeable way to climb up to the top again. You painfully reach into your backpack for your phablet only to find that it has run out of charge, and there's no network connectivity either. In other words - you are stuck in a hard place with a bad injury and little food, and nobody knows about your location. Is it the end already? Maybe not, because it's then that you remember the attractive device strapped to your wrist. It would be grossly inadequate to call the Breitling Emergency II something as relatively inconsequential as a watch. Enclosed in the Emergency II's titanium case is a PLB Category 2 beacon micro-transmitter, capable of sending out a signal strong enough to alert authorities to your situation - no matter where you are. Finally, the paramedics are here, and you can hear a rescue helicopter chopping the air overhead. And as they lower a line, you mouth a silent thanks to the electronic angels that have been watching over you through the perilous journey. 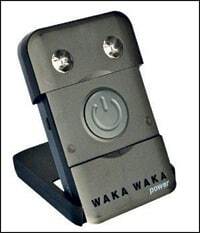 They say machines will take over the world one day, but aren't you glad they are around to save our lives till then? SpareOne An AA battery-powered mobile phone, it helps facilitate one-touch emergency dialing and geo-location even without a SIM card. Housed in a sturdy case, it can operate in a weather operating range (-22F to 140F) that's far more extreme than a smartphone. And if your flashlight conks off in the middle of the night, the SpareOne's LED can keep you going for over 24 hours in the dark. 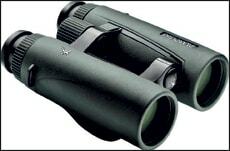 Swarovski 8x42 EL Rangefinder Binoculars 70008 Redefining the concept of hunting equipment, these field glasses from Swarovski combine the capability of razor-sharp top quality optics with precise measuring. Just the thing you would need to take a closer (but safer) look at a mountain lion scrambling up the rocks three kilometres away.